I sometimes think we’re too cheap. 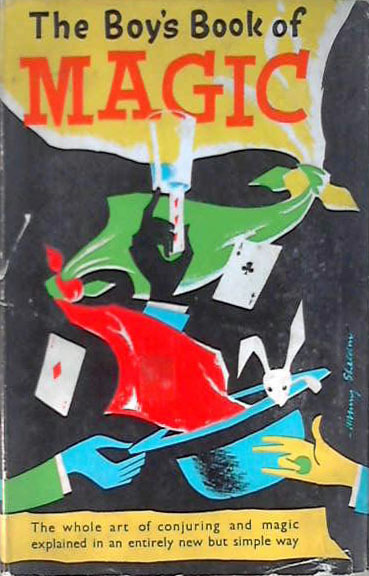 Just had an email from a bookseller offering a copy of the 1957 edition of The Boy’s Book of Magic at £67.99. I have in stock the 1956 edition at £7.50 (plus postage). Does that mean you should judge a book by it’s its cover or not??? About the same degree as to judging a book by its title. Although a book and its cover are soon parted. And some may say a cover is only as strong as its weakest book. Or others that empty books need the most covers. Or was that empty tricks need the flashiest promos? Indubitably.